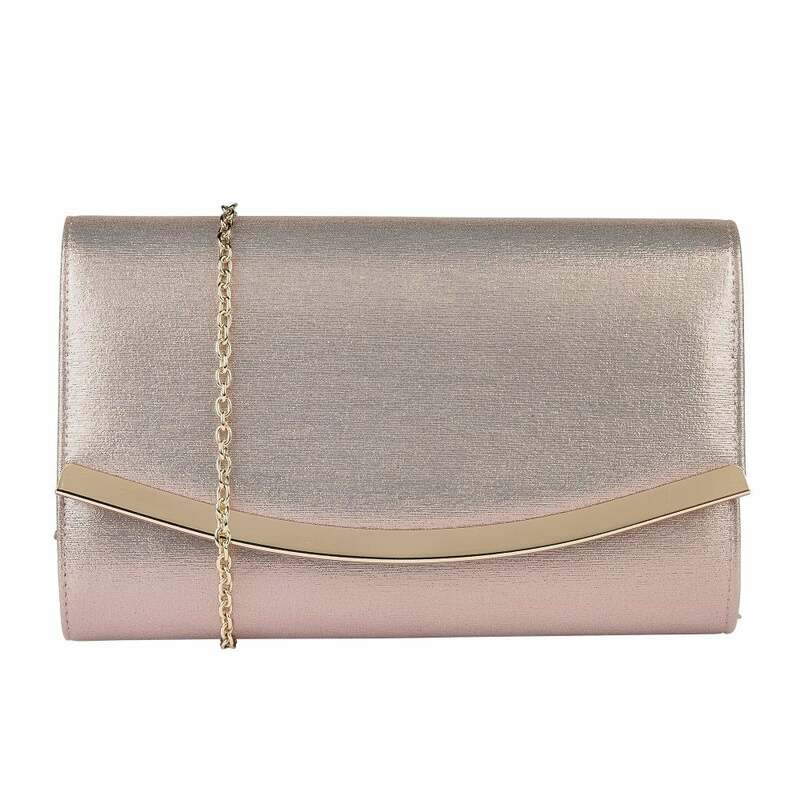 The Lotus Vanessa envelope clutch bag is a clean and sharp silhouette that is extremely versatile. Boasting a fold over flap that is finished with a polished metal trim, a magnetic closure and a detachable shoulder strap, this metallic pink, Lotus handbag can easily be styled for any occasion. Though for extra special occasions, this structured Lotus handbag in faux leather coordinates with both the Justine and Larissa shoes.